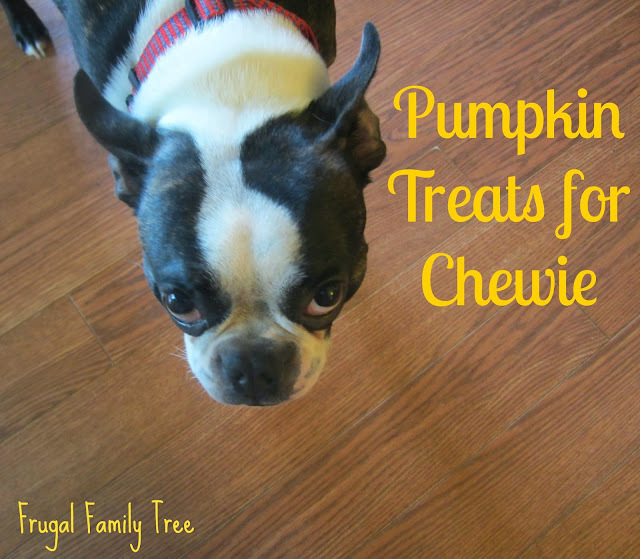 With all the delicious ways we are enjoying pumpkin this month, I thought our dog Chewie would love a pumpkin treat, too. 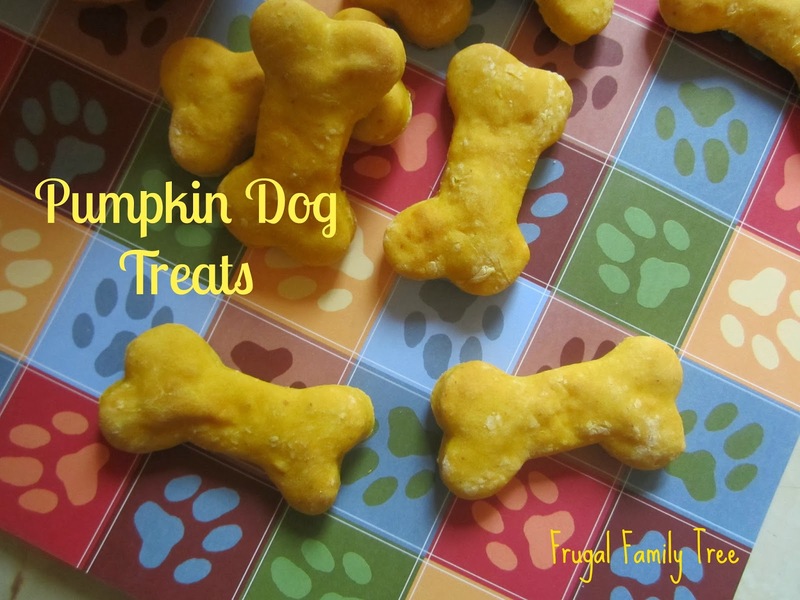 I love making him treats, and look for recipes that are quick and easy. These smell great, and make about eighteen biscuits, depending on how large a cookie cutter you use. 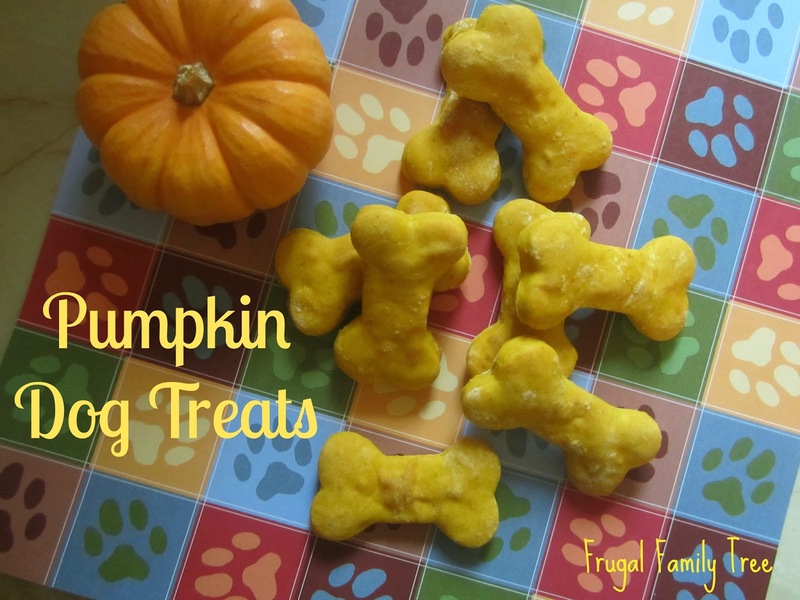 If your dog is like Chewie, he will adore these, and think you are fabulous for making them. Blend eggs and pumpkin in a large bowl, stir in salt, powdered milk, and flour. If dough is too crumbly, add just enough water to make it workable. Roll or pat out dough on a floured surface, cut out biscuits with a dog bone shaped cookie cutter. Place on an ungreased baking sheet. Bake for 15 minutes, then turn biscuits over and cook an additional 15 minutes. Makes about 18 dog biscuits.